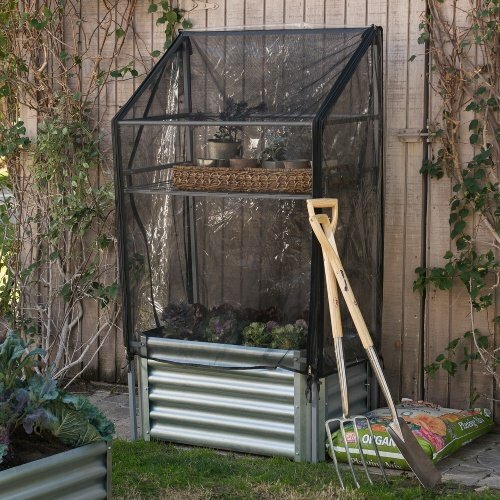 Emery Corrugated Metal Raised Garden Bed w/Greenhouse Cover Constructed of Steel w/a Zinc Plate in Silver Color 38W x 21.75D x 67H inches by Pelham Living at Tulips Orchids. MPN: MEGG002. Hurry! Limited time offer. Offer valid only while supplies last. If you have any questions about this product by Pelham Living, contact us by completing and submitting the form below. If you are looking for a specif part number, please include it with your message.